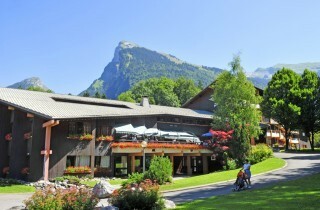 The Holiday Village Le Berouze, is located 250m from the center of the village of Samoens, close to all amenities. In winter, the Bérouze ski bus stop allows you to reach in 5 minutes the gondola of Samoêns, and in summer, you are at 500 meters from the leisure center of Lac aux Dames. Holiday Village *** located 300m from the village center of Samoens and the ski lifts. Stop ski bus at 300m, leisure center at 800m.